Do you have a "girly night"? Gone seem to be the obsession with falsies (fake lashes) for the season. We didn’t see them anywhere on the runways, really. 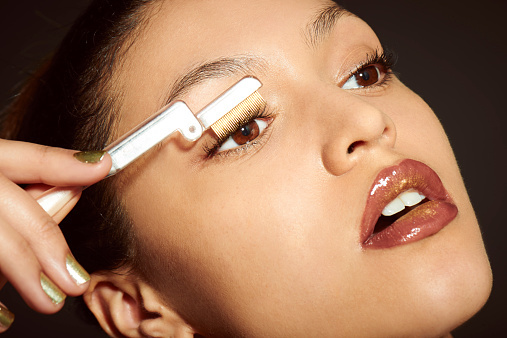 While they’ll always be a staple in glammed up gorgeousness, more women are opting to roll with lush, natural lashes and are therefore using products like Xlash in order to lengthen and thicken their eyelashes naturally! But, how does one get them? Here, let us tell you. So, here’s the easy trick: use a wand and pour a little baby powder around it. Shake off the excess, and apply to your lashes. If you’re afraid of the powder getting in your eye, close your eye while applying the powder. Let it sit and then coat your lashes with your favorite mascara as usual. Take your wand and coat your inner lashes towards your inner eye, the middle lashes upward, and the outer lashes outward. You’ll basically create a dynamic effect, naturally. Do about 2 to 3 coats using the same technique. I love to take a lengthening and volumizing mascara and use them both at the same time. I’ll usually apply a volumizing one first and then add the lengthening one on top. Perfection.